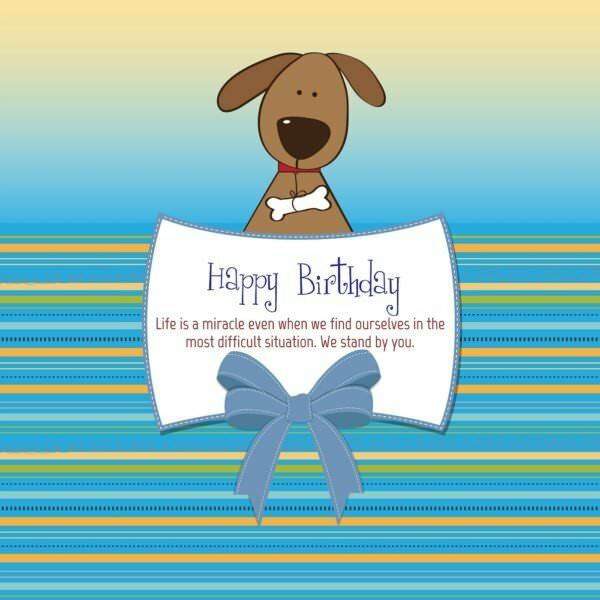 Celebrating a birthday during a challenging or difficult situation comes with mixed emotions and feelings. In fact, often, the celebrant may prefer to be silent throughout that day and may want to shut down any means of communication with people around, including loved ones. 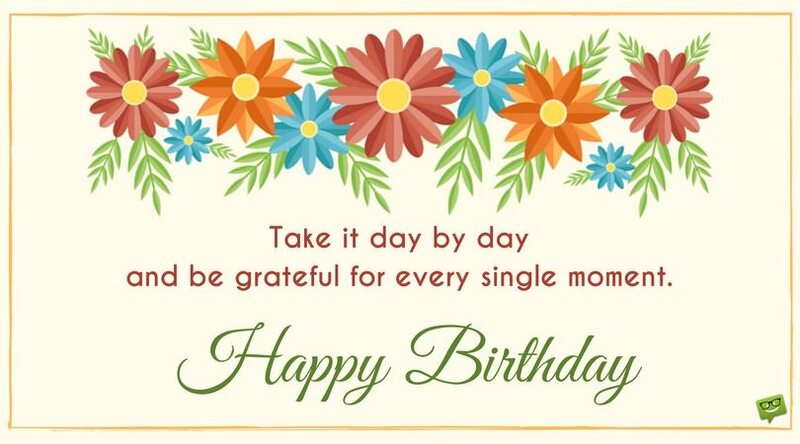 Thoughtfully crafting a soothing and heart-touching birthday wishes in difficult circumstances can help melt a heavy heart, comfort the hurting, and encourage the discouraged. And, you don’t have to rack your brain to come up with the most suitable birthday wishes and messages for the challenge that the celebrant is going through. 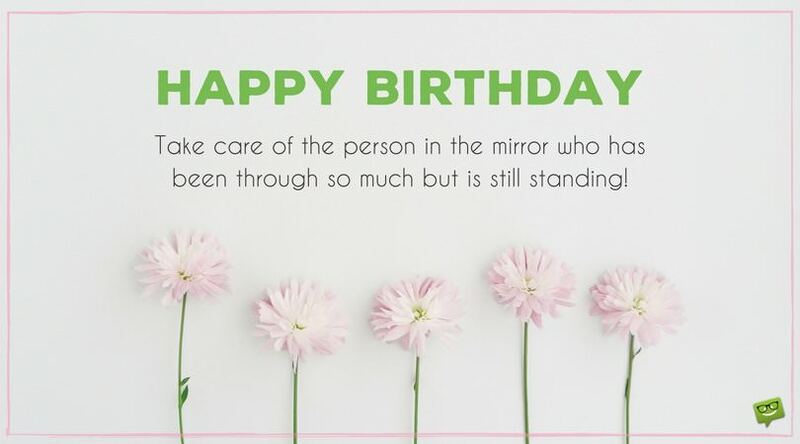 Our collection of birthday wishes for the bereaved, ill, divorced or someone who recently became unemployed can be your great source of inspiration to come up with unique wordings and messages. 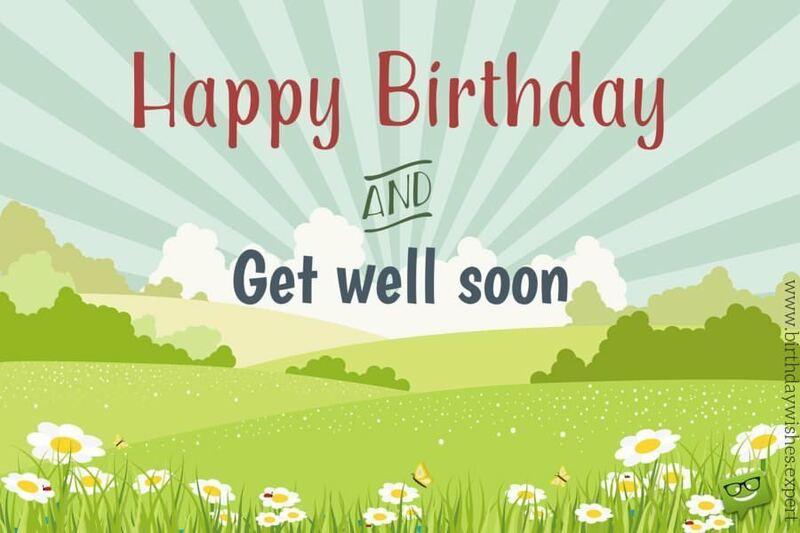 Wishes you can send to someone who prefers not to celebrate his/her birthday due to illness. Being alive to celebrate another birthday regardless of your illness is something to be thankful for. “Where there is life, there is hope”. Wishing you a happy birthday and quick recovery. Have a swell time. My special prayer for you on your birthday is that God will heal you and grant you quick recovery. Get well soon. Happy birthday. Happy birthday! Happy new day! Happy new you! 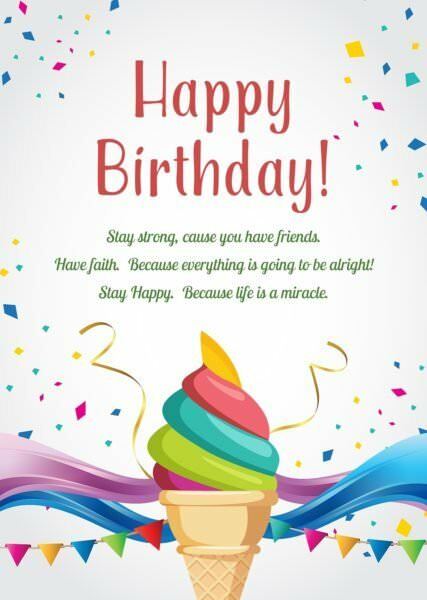 This birthday will mark the end of ill-health in your life and usher in a new you, in health and in wealth. As you pick courage to blow off those candles on your birthday cake, you are blowing off every flame of sickness in your life. Happy birthday and happy recovery. We stand by you in good times and in bad times, which is why we are sending our best birthday wishes today and the quickest recovery wishes. 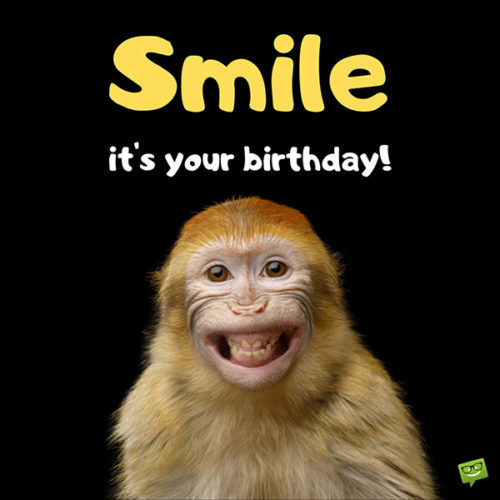 “A living dog is better than a dead lion.” Your birthday today is a sign of hope for you. Get well soon, dear. Your birthday is a celebration of life. Get well soon. It’s your birthday, it’s your great day. Rise up above your job loss situation and celebrate the gift of life that you have. Every other thing will surely fall in place for you. Happy Birthday! The lost of a job is an indication of a better opportunity elsewhere! Don’t indulge in self-pity and moody countenance because a better opportunity awaits you out there. Enjoy your birthday today and boost up your energy to explore that greater opportunity waiting for you! I feel sorry for your job loss. But, don’t get all worked up, it’s time to become your own boss! Happy birthday. I celebrate with you on this special day and would want you to know that the lost of a job is the beginning of a new and better opportunity. Go out there and explore it. Happy birthday. Happy birthday dear! Don’t sit back and moan about your job loss, enjoy your day to the fullest and wake up with fresh ideas that will make you become your own boss. You should see your job loss as a blessing in disguise – a greater opportunity to explore the real financial growth that has been knocking at your door. So, go ahead and enjoy your birthday to the fullest. When you company or boss fires you, they are indirectly telling you it’s time for you to become an employer and not an employee. So, enjoy your birthday without stress as you get ready to become your own boss. Losing a job in times like this can feel like the end of life. But, you should look at the brighter side of life as you celebrate your birthday today. When a silver door shuts you out, a golden one opens for you; that is how you should see your job loss as you mark another beautiful birthday today. Happy birthday. Happy Birthday. Stay strong, cause you have friends. Have faith, cause everything is going to be alright. Be happy, because life is a miracle. It’s hard to laugh when the heart is hurting. But, you should rise above your situation, in hope that your loved one is in a better place. Let go of your sorrow as you celebrate your birthday today. I wish you a happy birthday and deeply condole with you on your loss. The comfort from above will wash away your sorrow and replace your mourning with dancing. We know how deeply it hurts to lose a loved one, which is why you would rather prefer to keep a sorrowful mood today. But, remember, ‘a merry heart does good like medicine’. So, get out there and catch fun and enjoy your day to the fullest. It will help relieve your sorrow. Happy birthday. We rejoice with you on your birthday and sincerely send our condolence for your loss. Take heart on your loss as you celebrate your birthday in hope that you will see your loved one again someday. Happy birthday. “Do not sorrow like those who do not have hope.” Put on your dancing shoes and dance away your sorrow – it’s your birthday today! Life is a miracle even when we find ourselves in the most difficult situation. Happy Birthday. I know what you’re going through right now, having separated from your spouse. But it’s not the end of life. Your birthday spells hope for you. So, enjoy your day to the fullest. Don’t let your present predicament deprive you of the joy of witnessing another birthday. Be merry and have a swell time. Sometimes, life does not turn out the way we wanted. But, the gift of life and another birthday shows that something good is on the way. So, don’t give up! Happy birthday. When a partner leaves, it feels like a part of one’s life has departed. You should rise above this situation as you celebrate another birthday today. All hope is not lost, dear! Happy birthday. Give yourself a great treat today. It will help relieve you of the hurt you’re feeling right now. And, always remember we are here for you. Happy birthday day. Happy anniversary to the most phenomenal figure in my life. I’m so humbled to see how you have not let your state define you. You are indeed an inspiration to me. On your anniversary, I want to assure you that you’ll never be alone. I’ll frequently come around to keep you company and put a smile on your face. Happy birthday. I love you so much. Wishing the happiest of birthdays to my shining star. I will always be there for you because I love and treasure you. You might be old and frail today, but that will never take away the fact that you are the strongest and most inspirational person I’ve ever known. Happy birthday. You have been my pillar of support throughout my life, and I guess now is the time for me to offer myself to you to lean on. I promise to always be there for you, regardless of the hurdles that stand in my way. Happy birthday. Congratulations on your milestone anniversary! You have lived both a long and extremely inspirational life. I hope you never look at your current state and let it bring you down because you have no idea how much you inspire me. Happy birthday. On your special day, know that you’ll never have to worry about anything in life so far as you’ve got me. I hope you have a very blissful and memorable day. You are always in my prayers and heart. 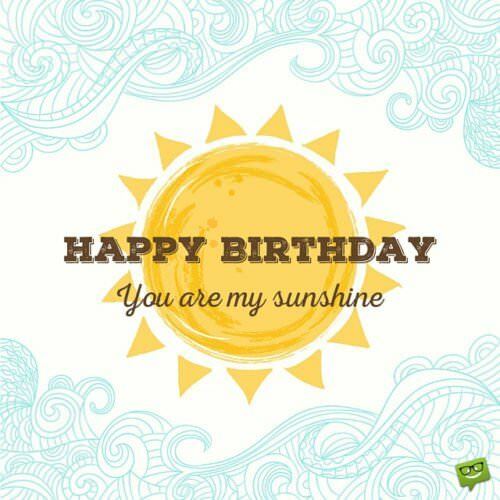 May your birthday bring you warmth, happiness, sunshine and strength. I love and care for you more than you can fathom. Today presents me with the perfect opportunity to let you know that I will never let you face these trying times of your life all by yourself. I will always be there for you because I treasure you with all of my heart. Happy birthday. I will always be there to support you and put a smile on your face because you have never let me down. I hope your birthday is as lovely and as fun as you are. I can’t wait to see you! Happy Birthday! Rise up above the situation and celebrate life. We love you and always will. Hang in there, my dear! You can beat this cancer. I believe in you. Happy birthday. Anything can happen if you just believe. I believe you will defeat this disease. Cancer might be strong, but you are definitely stronger. Happy birthday. When I think of how far you have come, I am hundred percent confident that cancer will lose this battle. So please, don’t ever let this illness get the best of you. You will emerge the victor. I promise you. Happy birthday, my dear. You have more strength in you than you know, and from the depths of my heart, I believe cancer is no match for your strength. Happy birthday. Don’t ever give in to this cancer. You’re the bravest soul I have ever encountered, and you inspire me every day with your bravery and courage. Happy birthday. As you commemorate your Big Day, do know that you are stronger than whatever cancer throws your way. This battle won’t be easy, but it will surely end in victory for you because you are the greatest fighter I’ve ever known. Since God will never give you something you don’t have the strength to overcome, I believe you will beat this disease. Have a beautiful day, my dear. Put God in charge of your battle against this disease, and He will surely win it for you. Happy birthday. Don’t despair, for there’s always hope. Hold on to the very end, my precious. Never stop believing in your strengths, and you shall overcome this. I promise you. Happy birthday. It’s okay to be scared, but never give up the fight. Your spirit is strong, which is why I know you will win this fight. You can, and you’ll certainly defeat this cancer and send it straight into the depths of hell. I love you. Happy birthday. Here’s wishing you the strength to defeat this ugly sickness. Don’t ever lose hope, my dear. I believe you will win this battle at the end of the day. On your Big Day, I want you to know that you have the strength and power to overcome this illness. It is an uphill battle, but you shall definitely overcome it. Since time immemorial, God has been man’s greatest Healer, and He is still our greatest Healer today, which is why I’m more than confident you will receive your healing. Happy birthday, and may God’s face always be present in your life. On your birthday, my only prayer for you is that God will take away every cancerous cell residing in your body and make you healthy, strong and happy again. May your birthday be as glorious as you are. I love you. There’s nothing bad that can’t be defeated, and cancer is certainly no exception. Never give up, my dear, and you shall win this fight against cancer. I love you. Happy birthday. My prayer request on your birthday is that the Almighty God will heal you and make you complete again. Please do not give up hope, for God is alive and He hears your cries. My dear, from the bottom of my heart, I truly believe that you’ll recover from this illness. All I ask from you today is that you join me in believing that you’ll survive this illness. Happy birthday. Millions of people survive cancer every year, and I know you’ll be one of them because you are a fighter and a survivor. May God bless you abundantly and take you safely through this battle. Happy birthday. Today, I cry out to all the powers of this universe to heal you. This illness is only but a chapter of your life. There are many more beautiful and happy chapters yet to come. I love you. Happy birthday. If there is one thing I’m certain of in life, it is that you will beat this cancer because you have an indomitable fighting spirit. I believe in you and your extraordinary fighting spirit. Happy birthday. Cancer might change you, but it will never crush or defeat you. Be strong, my dear, and just hold on a little longer. Everything shall be alright. Happy birthday. Take it day by day and be grateful for every single moment. Happy Birthday! You are my most inspirational hero of all time. Your courage and bravery astounds me every time I think of you. Thank you for inspiring me. On your special day, I just want to let you know that I will be there for you all the way to the very end. I love you. 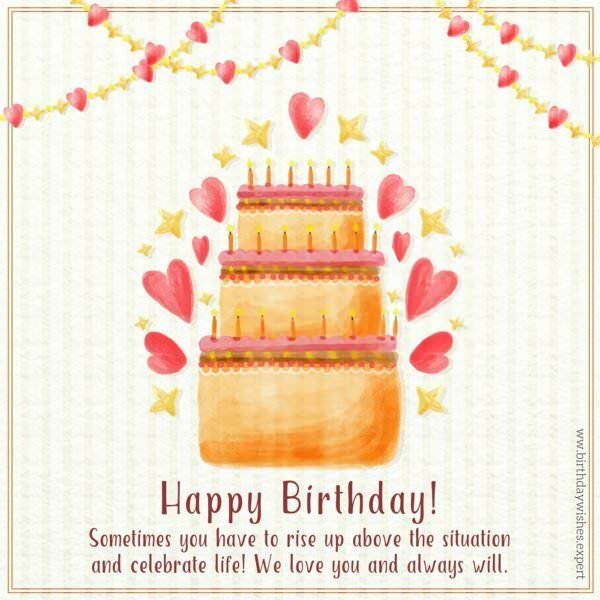 Sending you hugs and kisses on your birthday to brighten up your day and make you feel better. You’re my world, and I love you so much. Happy birthday, my dear. I hope you are feeling better today. You are in my prayers today and forever. May your day be accompanied by happiness and tranquil moments. I never knew what courage and bravery were until I saw you face this disease head on. I just want you to know that nothing can ever stop me from thinking about you and praying for you. I love you. Happy birthday. As you commemorate this wonderful day of yours, know that you will never be alone in this fight. You have been there for me all my life, and the least I can do for you is to stand by your side throughout this battle. I love you. You have been through more hell than anyone will ever know yet you always have a smile on your face. You’re such an inspirational figure to everyone around you. I’m so blessed to have had the privilege of having such a phenomenal person like you in my life. I love you, and may God always be with you. Happy birthday. You are truly an inspiration to me. Despite battling this illness, you keep demonstrating a bravery, fortitude and courage so exceptional that I’m humbled. I hope your birthday is as amazing as you are. You have captured my heart with the tremendous courage and bravery you have shown throughout these trying times. My wish for you today is that you will be blessed with health, strength and true happiness. I love you so much. I’m so thankful to God for giving me this priceless opportunity to share this special day with you. So far as I’m alive, I will never let you fight this battle alone. You and I are in this together, and we shall fight until the very end. Happy birthday. I don’t care about anything today; all I care about is that you are here with me, and that’s worth more than all the wealth in this world. Happy birthday. Happy Birthday. Take care of the person in the mirror who has been through so much but is still standing.